Good Shepherd Convent is located in the Mines View Barangay in Baguio City. Its main entrance is along Gibraltar Road and it is walking distance from the souvenir shops at Mines View Park. The convent is usually the next stop for most visitors coming from Mines View Park. You can enter the convent's gate and you can proceed to the center of the compound where you usually find people lining up and waiting to be served by the salesclerks of the store. The store is popularly known for selling different products made by the Good Shepherd nuns and visitors coming up to the store who are familiar to the items they sold in the store always make sure to buy something back home or what they called in Tagalog, 'pasalubong'. Among the most popular items are fruit preserves such as strawberry, ube jams, peanut brittle, coco jam and cashew nuts. The ube jam is the fast selling product which I bought when I visited this place that cost P250 or $5 in dollars. They said that the money generated from the sale of their products is used for the different charities sponsored by Good Shepherd nuns and also for the maintenance and upkeep of the convent. 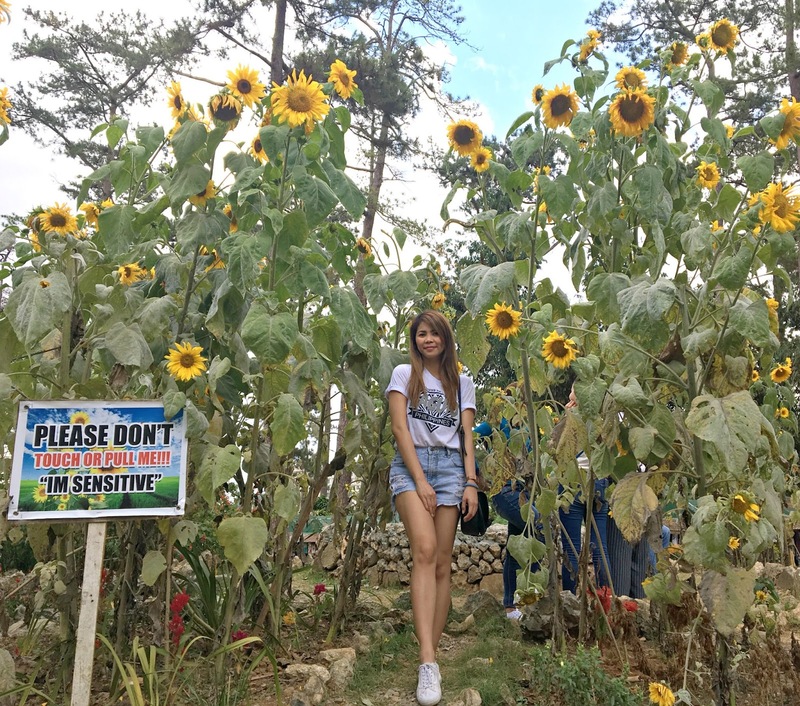 Within the compound are other buildings and facilities just like the sunflower garden that they have. I am quite happy when I saw this and forget about shopping food items that I should bring home. Would you believe that this is my favorite flower beside to tulip? Do you know that sunflower had a scientific name called 'Helianthus''? Sunflower is a genus of plants comprising of 70 species. They are usually tall than other species that can grow to a height of 300 cm(120 inches) or more. 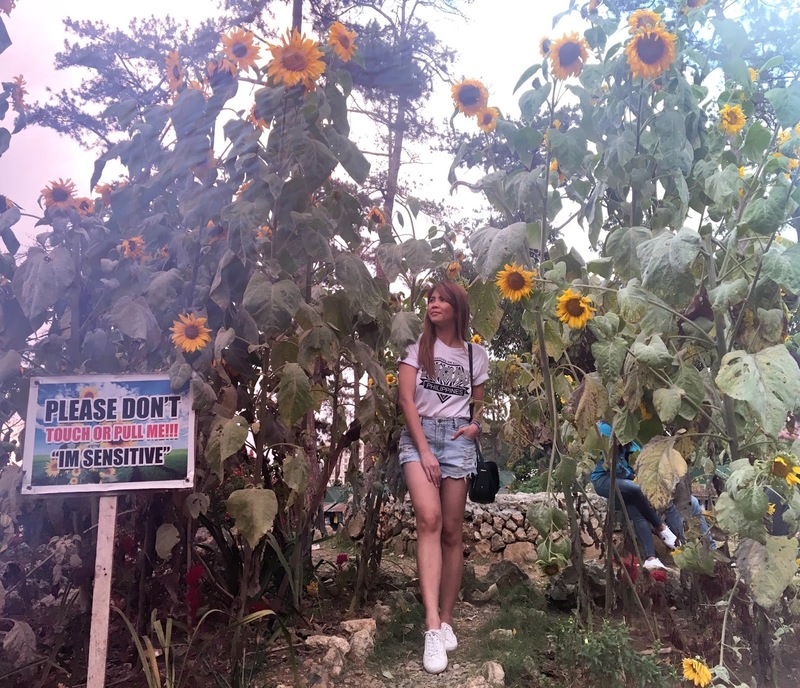 During growth, sunflowers tilt during the day to face the sun but stop once they begin to bloom. 1) Sunflower is the only flower with a flower in its name. 2) Helianthus is the scientific name of Sunflower which means, Helia for sun and Anthus for a flower. 3) Sunflowers are the symbol of faith, loyalty, and adoration. 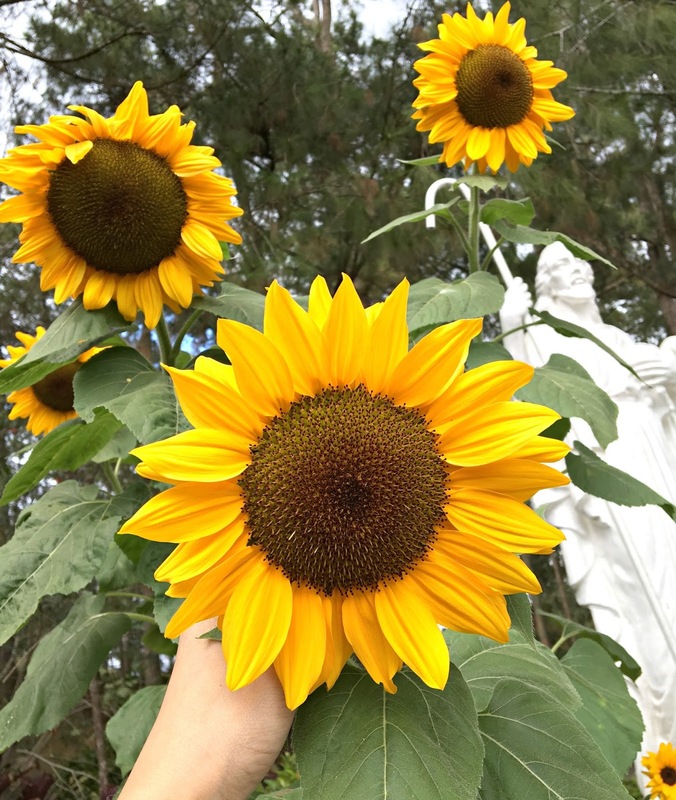 4) Oil of sunflower is rich in minerals like calcium and iron and contains vitamin A and D.
5) Sunflower is the national flower of Ukraine and is the state flower of Kansas. Do you have any favorite flower at the moment?